The Urban Pedal is built to stand up to the rigours of the daily commute. A flat profile and even contact patches ensure top traction. Whether you’re in trainers or shoes, the durable, non-slip grip tape guarantees a firm foothold for nearly any kind of sole. At only 300 g per pair, the pedals are also remarkably light. 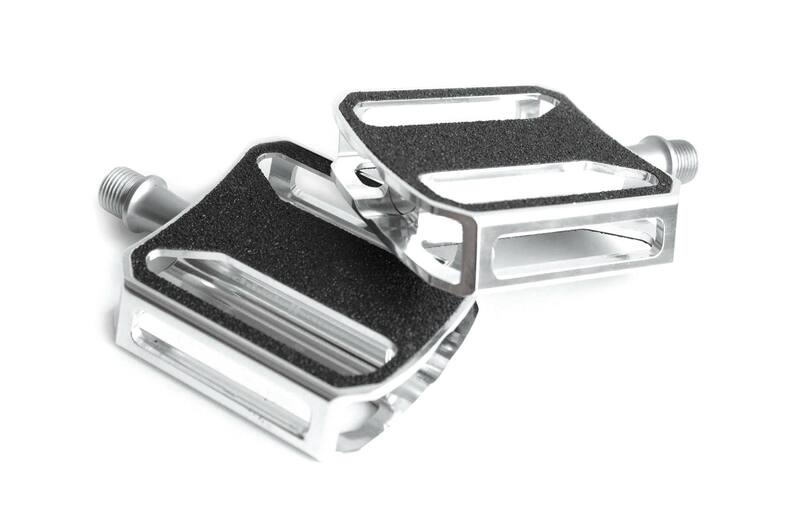 A sophisticated CNC procedure was used to make the striking cutouts both on the aluminium case and to make the space where our pedal straps are threaded through. We also combined a sealed industrial bearing with a plain bearing to make the pedal as flat and light as possible. What’s more, the pedal and the crank form an elegant connection that practically goes unnoticed thanks to the absence of the usual wrench width. 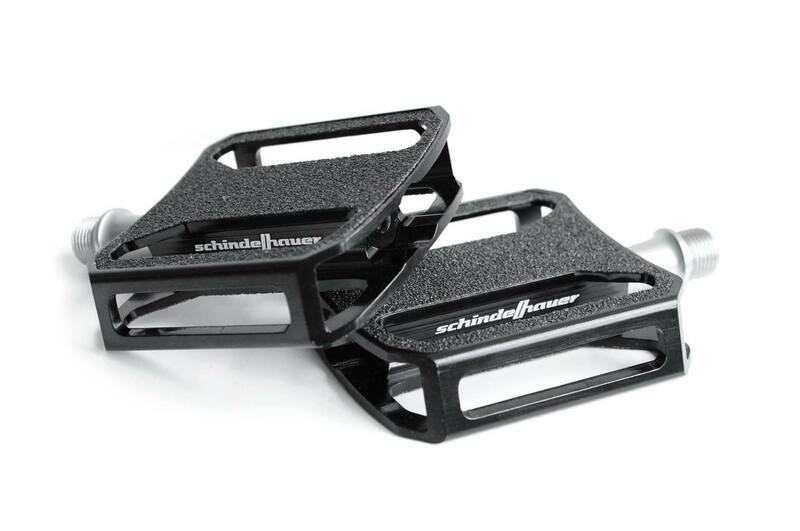 Despite the low pedal height, Schindelhauer pedal hooks and reflectors can still be used. Straps made by other manufacturers may also be mounted. The titanium spindle weighs a mere 250 g.
Please note: the maximum rider weight for the titanium-version is 80 kg. The titanium-version is not approved to be used on E-Bikes.